When setting out on my research trip to Lewis I didn’t have a definite plan of what I would do there and hardly looked at a map or checked a weather forecast. I was interested in allowing the people I met direct my research and ideas. Through conversation and observation, I became very interested in the plant life on the moor and the small beautiful flowers I came across. This,combined with an interest in the social history, has helped me develop ideas for the project. I have been trying to find gaelic proverbs / sayings relating to small things + big things . Ge beag an t-ugh thig eun as Though the egg be small, a bird will come out of it. I came across a postcard when visiting the black house in Lewis. 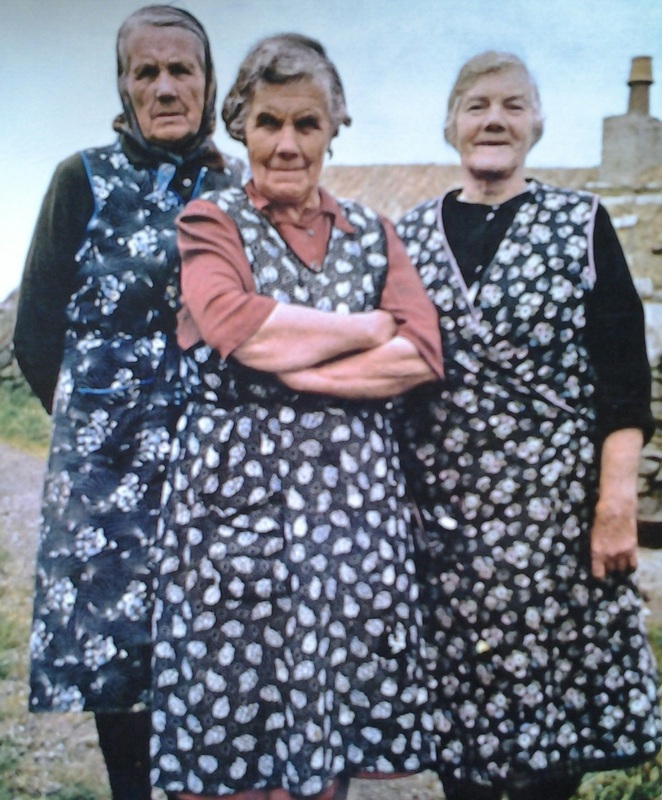 The postcard is of three women all dressed in patterned pinnies. I then began to notice many different patterns in photos of women in Lewis in the 1940’s an 50s. Many of the women who walked across the moor would have worn brightly patterned cloth and when looking at archive photos of women at the shielings, I noticed many were smartly dressed . 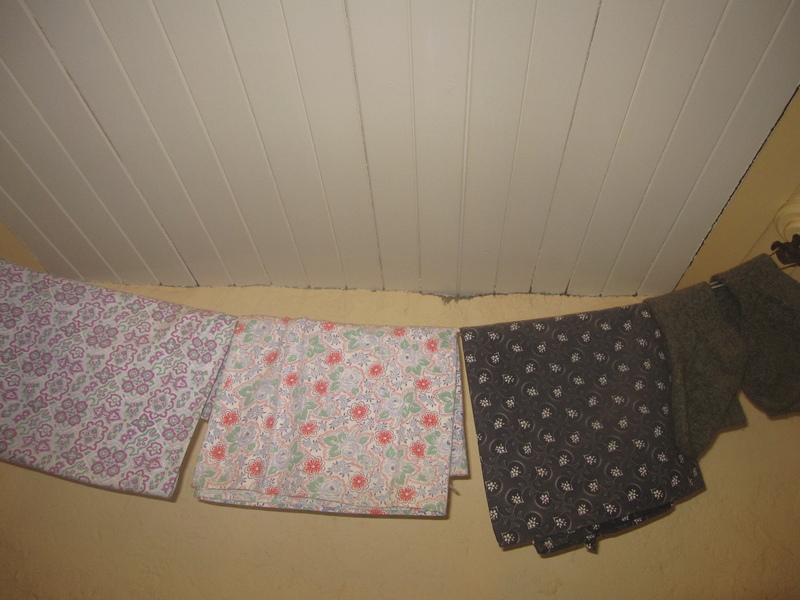 Shielings were also often papered with left over wallpaper and curtains were made and brought to the shielings each year. It seems that pattern and colour was a big part of life on the Lewis moor . I’ll ask my mother if she has anything to add. As English is not her mother tongue but learnt in school. She was brought up in Skye.